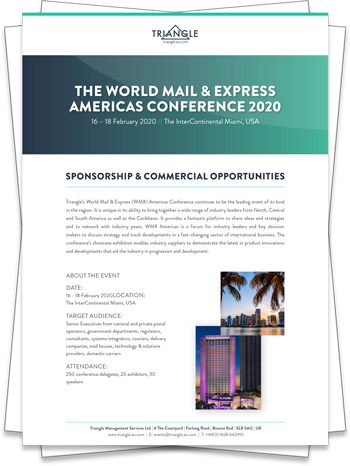 The World Mail & Express Americas conference provides you with an unmissable opportunity to showcase your products and solutions to key decision-makers from potential clients with real spending power. Why spend days arranging meetings and huge amounts of time and money visiting prospective clients? #WMXAmericas provides you with a unique platform to meet over 200 senior-level executives to discuss matters core to their business and to potentially win their business. Spend two solid days meeting with 250+ leaders in logistics and retail, including: CEOs, CFO’s, Heads of Logistics, Communications, Governance, Innovation and more. 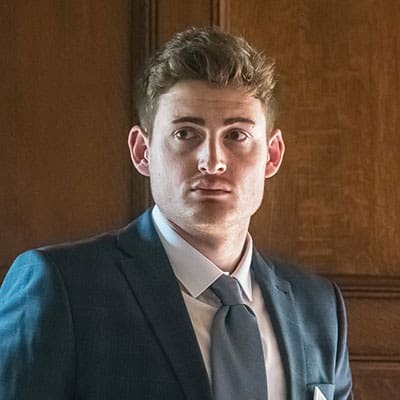 1-to-1 introductions: Our team will be more than happy to help you identify and connect with any of the brands you would like to meet on site with personal introductions. Conference Essentials Sponsorship: What does everyone need at a conference? Wifi, phone and laptop charging stations, delegate lists, the online event showguide, water bottles, coffee – make sure no-one forgets your brand! Branded Merchandise: Introduce or reinforce your brand amongst conference attendees by branding conference materials, such as delegate bags, lanyards, folios, pens, umbrellas, hats – the possibilities are endless! Brand a Networking Session: With the freedom to style as desired, take over a coffee break or networking drinks – from branded coffee cups, cocktails, cupcakes, raffles and giveaways – what do you want your brand associated with? Act now as sponsorship and exhibition packages will sell out soon! Become a conference partner and you’ll benefit from multiple opportunities to prospect, network and generate leads all under one roof and in only two days – saving you both time and money! Call us now to develop a bespoke package, tailor-made for your business.